In my free time when I’m not hunting for bugs in paid programs, I like to contribute a bit to the open-source community and check for vulnerabilities that might arise. In doing so, I found a stored cross-site scripting vulnerability that affected over 900,000 websites… yikes. That number at the end can be changed, so you can see what other keywords people have searched on the site. I’m not sure if this is a good or a bad idea, but that’s not the bug. The bug is that when you enter a payload in this quick search area and have also selected the elegant theme there is the option to open a “search criteria” page. Sidenote: If you’re a bug bounty hunter, it’s always best to use alert(document.domain) instead of alert(1) – it tells you if the payload is actually firing on a domain that is in scope for the program. Why is this bad? 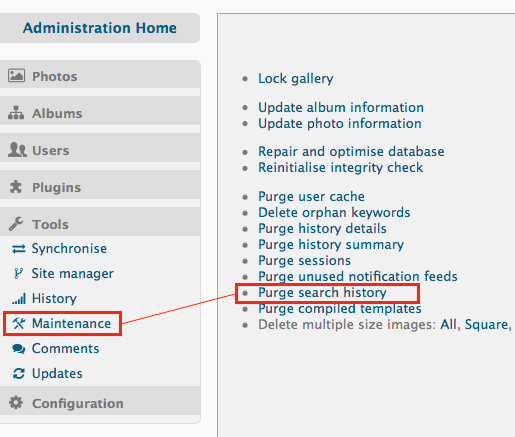 Well, before I reported this bug, I’d be concerned if an attacker kept a variety of payloads that will still execute even after the website has implemented a patch – since the search is stored in the database before the patch went into place, it makes sense that all the attacker needs to do is direct the victim to the old URL – and the website owner can’t do much if they haven’t purged the search history. Example of what I mean: At the time of this writing, if you visit the above URL in that picture on piwigo.org, the payload will still execute, even though the vulnerability was fixed a long time ago. I was assigned (my first ever!) CVE-2016-9751 regarding this vulnerability. 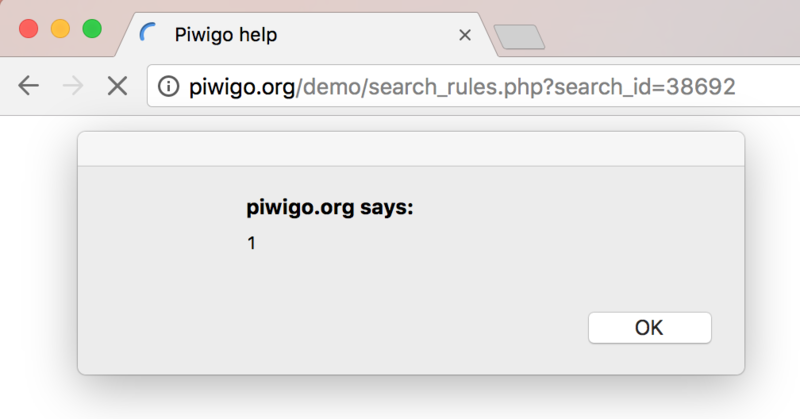 A fix (https://github.com/Piwigo/Piwigo/issues/559) was implemented after reporting. Webmasters and gallery owners should update to Piwigo 2.9 in order to implement the patch.